In the game, you can play builds on Marauder, Templar, Witch, Shadow, Ranger, Duelist, and Scion and kill the Shaper. However, I can tell you about the class that I prefer for a variety of reasons. This is the class I would recommend to beginners to play. I will be discussing the Ranger. this class is based on the attribute of dexterity. The node she has by here passive tree mainly support ranged attacks through bows while supporting an array of melee weapons as well. 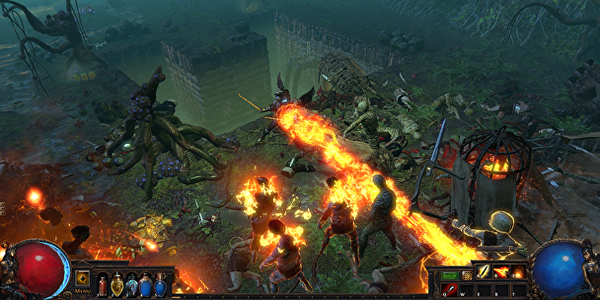 Path of Exile players know that your class is really just where you start on the massive passive tree and that’s about it. If you wanted to make a Marauder (strength) character that focuses on spells you can do so – it's just not recommended since you’re going to stray off the path pretty far. The seventh character, the Scion, has to be unlocked through completing a specific task in Path of Exile. The Scion can't be unlocked until the very end of the game. Towards the end of Act III (the final act), you will head to an area called The Scepter of God. This is the area that literally leads to the final boss of the game. If you really wanted, you could unlock her, quit the game, and start over using her without ever beating the game once. We focus on updating more news and guides about the game, view website now.